Summer season reminds us how fun it is to go to the beach and also that sun protection and staying hydrated are a must. This activity intends to make the ride to the beach or planning for it a little bit more entertaining. 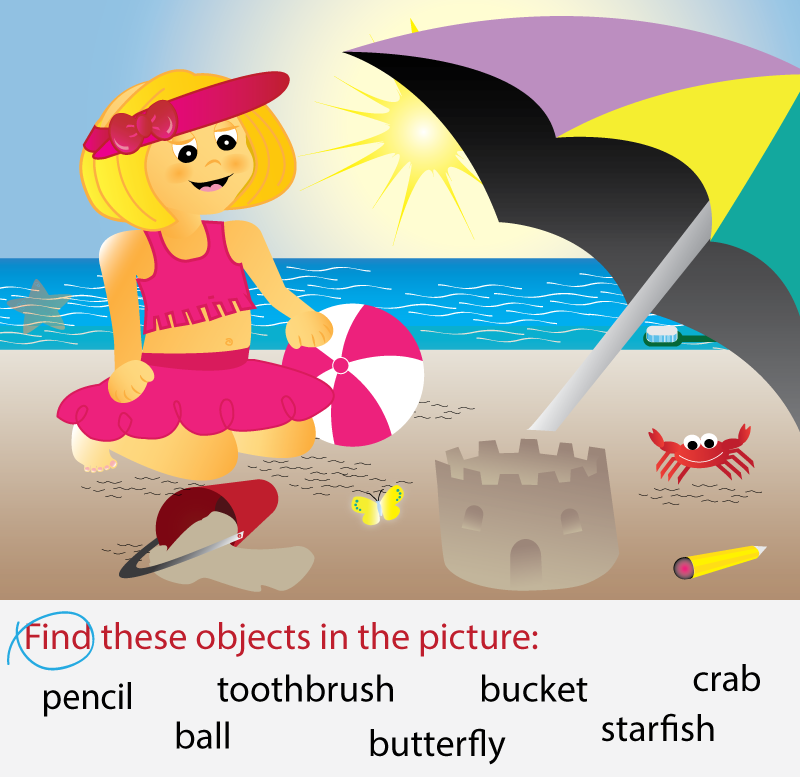 Can you find the objects in the list? What about the ones that don’t belong to the scene? Click on either level 1 or level 2 image to print it out. Level 1 is for kids that are not at reading age. Level 2 are for those that are starting to read. Also, please tell us what is your favorite thing about the summer?